Women’s month is the ideal time to find out whether Scouting empowers young women and girls to be confident and outspoken adventurers and future leaders. We spoke to Danae De Kock, a 14 year old Scout from 1st Table View Scout Group in the Western Cape. She attends Milnerton high school and loves spending time with animals, with her family, drawing and venturing out in the wild. SSA: When and where did you join the Scouting Movement? Danae: I joined the Scouting Movement as a Cub at 1st Edgemead and got my lion, leaping wolf and link badges. I took a break from Scouting after that to try some new things but in August 2014 I joined 1st Table View Scouts and I’m loving it! SSA: There are so many activities for teens outside of school, why the Scouts? Danae: I joined the Scouting Movement because I love spending time in nature and wanted to do that with others. I like to push my own personal boundaries and do things that people say that I can’t do because I am a girl. 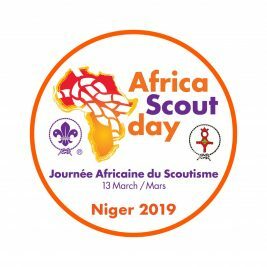 What is really fantastic about Scouting is learning survival skills, learning how to be responsible and how take care of yourself in any situation. 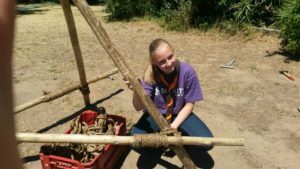 SSA: What is it about Scouting that drew you back into Scouting? Danae: You are accepted for who you are no matter what. It doesn’t matter what you look like or what challenges you have or what disabilities you have. I also really love the fun I have in achieving the different levels of badges and making new friends. SSA: You must have many awesome memories, which ones stand out for you? Danae: One of my most memorable moments is when I helped Emma King with her community service at Cheshire Homes for her Springbok. It felt so amazing to help others out and all the fun we had and seeing how the people appreciated us being there and appreciating what we were doing for them. Danae: When I attended PLTC – Patrol Leader Training Course – we had to do a hike but the hiking trail went over a lot of steep rocks and we had to walk near the edge. It was very scary but I overcame it through the support of the other Scouts. It felt great afterwards! SSA: People often think that Scouting is only for boys, what do you think? Danae: I always say to people that girls may look weak, but we work well as one team and when we combine our ideas together we can take down the world! SSA: Our Chief Scout – Sibusiso Vilane – says that adventure teaches you how to be a great leader. Do you agree? Danae: Yes I do! Often you will have a bit of a struggle and you have to figure out a way to get over and around that struggle. By doing that you become a better leader for the next time as you’ve learnt how to solve a problem creatively. SSA: Does being in the Scouting Movement provide you with positive peer pressure? Danae: Yes it does. When you are part of a Scout Troop you all work towards a goal as a team, you don’t do it alone. It is not peer pressure but good team pressure where we strive to become a better person and to have a positive impact on the world. Danae: I would convince them by telling them about all the fun one has in Scouting and the new things you learn. About the eternal friends you make and the extended family you have. The new skills and abilities you learn will help you to succeed in life and live with a positive and healthy attitude. I always remember that to do my best and to never give up!